Valley View is conveniently located between Brevard and Hendersonville and as close to DuPont Forest as any rental property could be. Situated on 25 acres with views of the surrounding Blue Ridge Mountains and Little River Valley. The cabin is very clean and tastefully furnished. To venture out beyond the serenity may never cross your mind. If this is not enough, less than ten minutes away is the Pisgah National Forest . . . Brave Sliding Rock for the 'chill' of a lifetime. Spend a day at The Cradle of Forestry. Enjoy downtown Brevard, home to The Brevard Music Center. 15 minutes away is Hendersonville, home to The Flat Rock Playhouse and Carl Sandburg's home. Spend the day in downtown Hendersonville or Brevard, both offer several Antique Shops, Diners, and Interesting Stores. The Biltmore House in Asheville, North Carolina is less than 45 minutes away. Be sure to link to the DuPont Forest and Hendersonville Websites. 15 minutes from downtown Brevard or Hendersonville. Both have quaint main streets with quality shopping and restaurants. This is our second trip to Valley View cabin. The location is great for visiting nearby Brevard, Hendersonville, and the waterfalls of Dupont Forest. Communication was clear, check-in/ check-out was easy. The cabin had everything we needed, and the view cannot be beat! We'll be back! The setting was fantastic with a great view! The property was clean. The furniture in the house was not comfortable. The sofa needs replacing and the dining chairs are very uncomfortable. We like to play games around the kitchen table and it was not comfortable to sit there for more than a few minutes. A perfect location for our weekend! The house is in a perfect location for our planned day trips. The directions make it very easy to find. We enjoyed the beautiful North Carolina scenery from the DuPont and Pisgah Forests..the waterfalls are spectacular. We visited the Biltmore and Asheville, also. The quick little wintery mix of freezing rain came as a surprise and left us without power and heat for the last 20 hours of our stay. If the power loss is a "typical" thing for the forest, it would be nice to have a generator backup for the guests. I feel the kitchen supplies are at the minimum for cooking a meal and could be restocked. The bed was very comfy but overall it could use freshening up. We really enjoyed our stay at the cabin and are planning on returning in the future. Everything that is needed is there. It is very quiet and peaceful. The biew from the porch is beautiful. A little disappointed with the interior. Could use a good deep cleaning and heat in the bathroom. Valley View is located as close to the Dupont Forest as any other accommodation in the area, yet convenient to all the other attractions Transylvania and Henderson County offers. 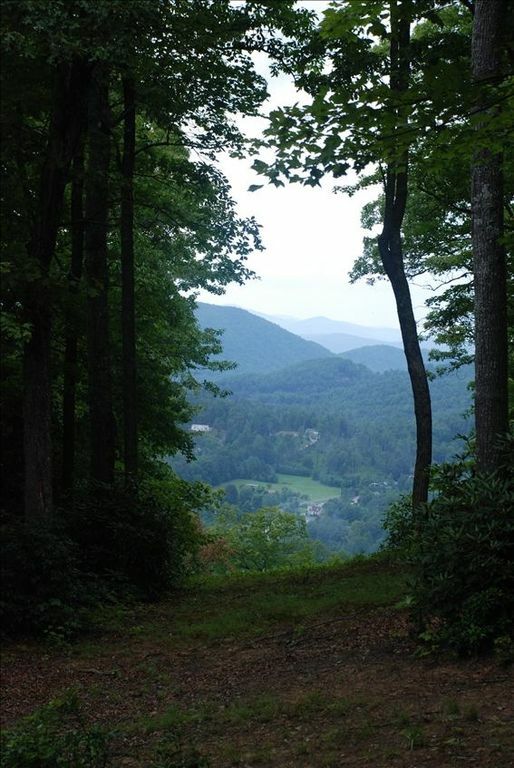 Brevard and Hendersonville is less than 15 minutes away, as well as other parks, such as the Pisgah National Forest.